This staggering achievement mixes real human tragedies and historical figures with a wondrous meta-commentary on storytelling. Gabi Gleichmann’s voluminous debut retells the Spinoza story via Ari, who’s presented as the last of a family line charged to protect a grand secret—the Elixir of Immortality—since the twelfth century. Ari, childless and on his deathbed, recalls a promise made to his lost mother and finds himself suddenly hungry to preserve his family’s history. Drawing from various sources, including the stories his great-uncle shared throughout his childhood, a notorious thousand-page manuscript penned by an ancestor, and general research, Ari pieces together a picture of the generations which preceded him, beginning with the first Baruch Spinoza, a rabbi’s son who meets Moses on the road one day and finds himself bound by a covenant unique to his line. He is to leave his father’s house, establish a Jewish community abroad, and await the discovery of a potion grand enough to transform history—but of which neither he, nor any after him, are allowed to partake. Baruch does this, abandoning home for Lisbon and becoming a court physician to the king. The potion follows: the elixir itself, the secrets of which are passed from generation to generation with express instructions that they never be explored. Only one ancestor, Salman, breaks this contract and finds himself protecting the family at a distance for centuries before tiring of eternal life. The Spinozas prove an impressive bunch and are often central figures at key junctures in European history, from the Spanish Inquisition, whose reaches they suffer, to the French and Russian revolutions. Their line features intellectuals, religious greats, and physicians, many of whom interact with sultans, inquisitors, artists, and dictators, figures ranging from Rembrandt to Freud. Particular traits appear from generation to generation, including the exaggerated family nose, which is viewed as a harbinger of incredible contributions to humanity, as well as enormous personal tragedy. They suffer heartbreak, persecution, disappointments, and occasional ignominy. Still, despite very real temptations to serve the family treasure up for enormous personal gain, they manage to preserve and maintain it through to Ari’s generation, when, as the last, he must determine what comes next. 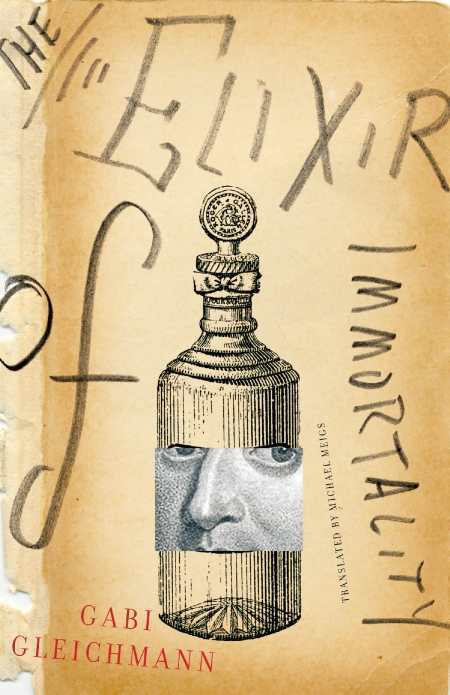 The Elixir of Immortality is a staggering achievement, one which mixes real human tragedies and historical figures with a wondrous meta-commentary on storytelling itself. Gleichmann incorporates elements of the mystical and of magical realism into unflinching explorations of very dark moments in Jewish history, from the centuries of the Inquisition through pogroms in the East to the Holocaust itself. Though the narrator defies chronology and doesn’t shirk from emotionally taxing details, this intelligent tome somehow remains compulsively readable throughout. Stands to appeal to those interested in Jewish and European history, as well as to readers interested in memory as a complex family inheritance.